Become a master of metal with this versatile, brutal head. 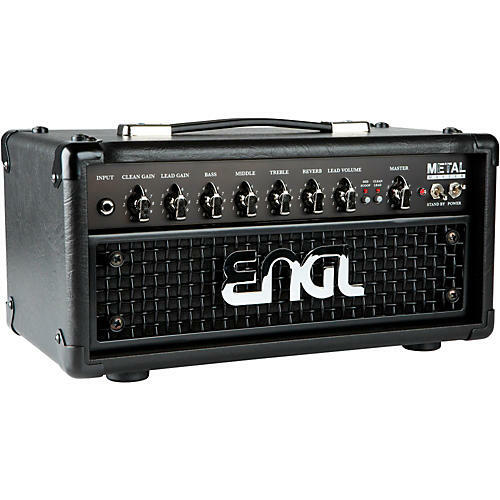 The Engl MetalMaster 20 head offers 20W of tube-flavored brutality built specifically for the heavy riffing and shredding solos that the metal gods demand. Featuring two channels (clean and lead), a switchable FX loop, built-in reverb, a mid-scoop switch for extra brutality, this little beast delivers the goods without overloading you with knobs and switches — or backache. Plus, with power attenuation from 20W to 5W to 1W or speaker mute for silent recording, this potent, portable combo is just as capable on the stage, the studio or in bedroom practice. Whether you're into a '70s hard rock, '80s shred, modern-day drop tuning or anything in between, the MetalMaster handles it with ease.